Can you believe we’re almost at the halfway mark for 2016? Summer is just around the corner, and many of you are wrapping up your homeschool year. However, I know that many more of you are gearing up for some summer learning. Whether you homeschool year round or you just like to have a little learning fun all year long, you’ll love this list of activities to add a little fun to the month of June. This is a holiday Emma would celebrate all year long if I’d let her! That kid has a sweet tooth bigger than herself. Even if you choose not to celebrate by eating candy, you could decorate a gingerbread house (who says they are only for December!) or read a fun book about candy. June 2 is National Donut Day. Several years ago, we bought this fun mini-donut maker. She loves getting up and making her own breakfast, and I love that I can know what’s going in her food. Because these donuts aren’t fried, they’re a bit healthier than the ones we would buy at the donut shop. If you have one, you should check out these fun homemade donut recipes. Let your kiddos make breakfast (or help you make it) on National Donut Day! June 6 is Yo-Yo Day. I don’t know about you, but I never mastered the fine art of the yo-yo. If you’re kids are more ambitious than I am, they might want to tackle some yo-yo tricks this summer. Here are some fabulous trick books that might help. June 8 is Best Friend Day. Today, kids get to celebrate their best friends. Plan a playdate. Read about friendships. Here’s a fun post I wrote about teaching about friendships with picture books. Kids will also enjoy filling out a questionnaire about their best friends. You can find a questionnaire in this month’s printable pack. June 9 is Donald Duck Day. Celebrate Donald Duck day with a fun Donald Duck video and book basket. June 14 is Flag Day. Let your little ones color a picture of the American flag while you read one of the books on this Flag Day book list. June 17 is Eat Your Vegetables Day. Today’s a great day to talk to your kids about healthy eating. They’ll enjoy this fun printable to go along with Gregory, the Terrible Eater . June 18 is World Jugglers Day. Like the yo-yo, I never mastered juggling either. Well, I can juggle two balls, but my kids tell me that doesn’t count. Here are some fun books that can teach your kids how to juggles should they try to master that over the summer. June 25 is Log Cabin Day. Today, let your kids build with Lincoln Logs . Help them make a log cabin out of pretzel sticks or craft sticks. Let them learn about Abraham Lincoln, too, since many associate Lincoln with log cabins. 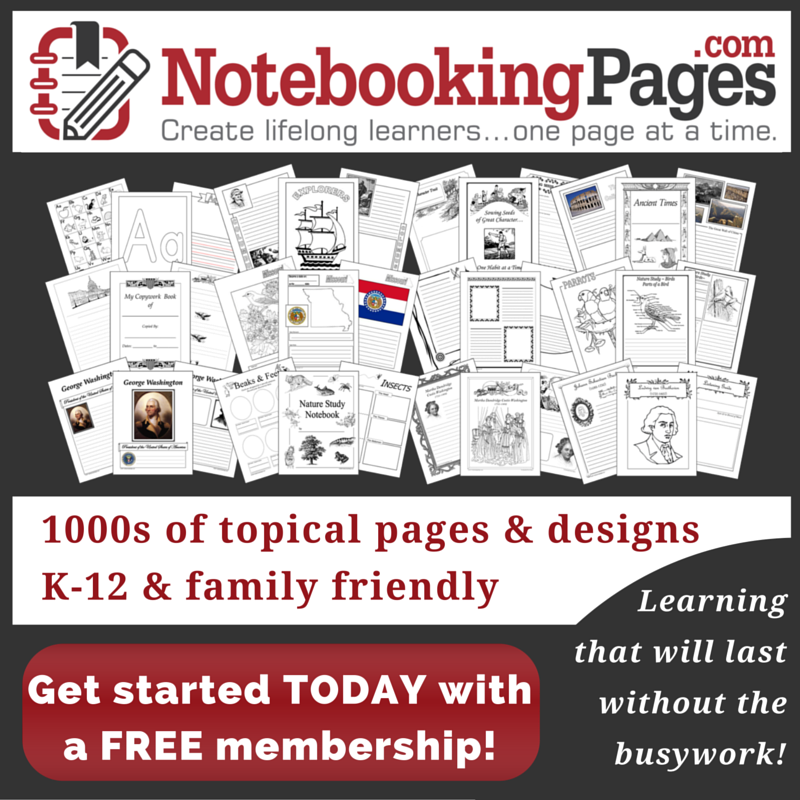 I’ve included an Abraham Lincoln notebooking page in this month’s printable pack as well as a page where students can draw a picture of their log cabin creations. June 28 is Paul Bunyan Day. Create a book basket full of different versions of Paul Bunyan’s tall tale. Let kids use the Venn diagram in this month’s printable to compare/contrast two of the stories. Then, let them color the enclosed picture of Paul Bunyan and his blue ox, Babe. June 29 is Camera Day. Em wants to learn to take better pictures, and I’ve looked for posts that share photography tips for kids and teens. After going through the links below, your kids will enjoy the Photography Scavenger Hunt included in this month’s pack. Ooh! What fun ideas! I love learning about non- traditional things with my boys. I don’t homeschool but my kids did have year round school for awhile. I liked the 9 weeks on, 3 weeks off schedule. What a fun beginning to June, we might be too sugared up with National Candy Day and National Donut Day back to back! Thanks for sharing with Small Victories Sunday Linkup. Pinning to our linkup board and hope you found some great posts to visit this week! Awesome post. I have never home schooled my children and really say bravo to parents who do. Thanks for sharing at the bloggers pit stop! These are fun ideas for keeping summer boredom at bay! Thanks for sharing at #FridayFrivolity this week! How cool! I had no idea about these off beat holidays. Love Flip a Coin, Juggler, and Forgiveness Day. I will have to mark these down on the calendar .